The Optimum Chronometer: F.P. Journe Souveraine Chronomètre Optimum. 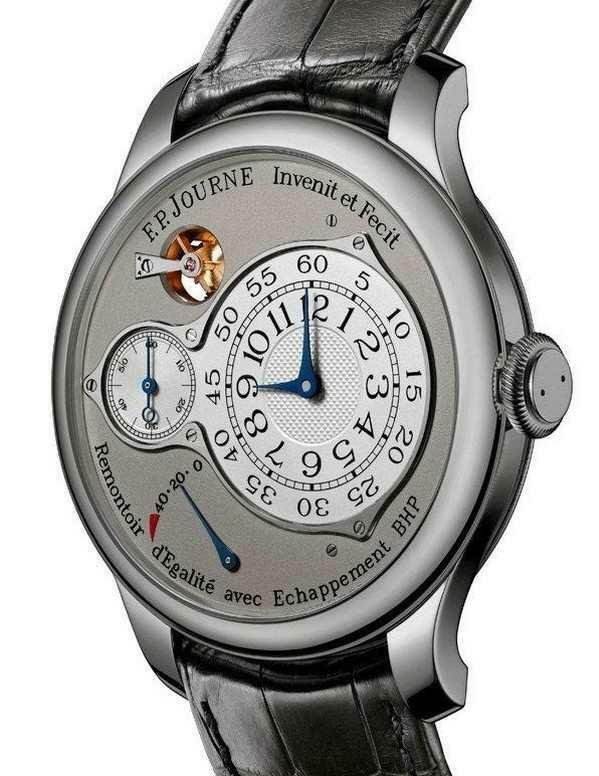 You are looking at Francois Paul Journe’s latest timepiece unveiled very recently in Tokyo. The F.P. Journe Souveraine Chronomètre Optimum. The watch features a pink gold or platinum case and sports a special mechanism based on his previous Souveraine and Resonance models. The Souveraine Chronomètre Optimum is indeed a complex piece with a twin barrel power supply fuelled through a remontoir (a small secondary source of power, a weight or spring, which runs the timekeeping mechanism and is itself periodically rewound by the timepiece's main power source, such as a mainspring) to a patented, highly efficient, lubrication free bi-axial escapement. Due to the complexity of the inner workings of the watch, a short video can be viewed to demonstrate the way in which the Chronomètre Optimum works. 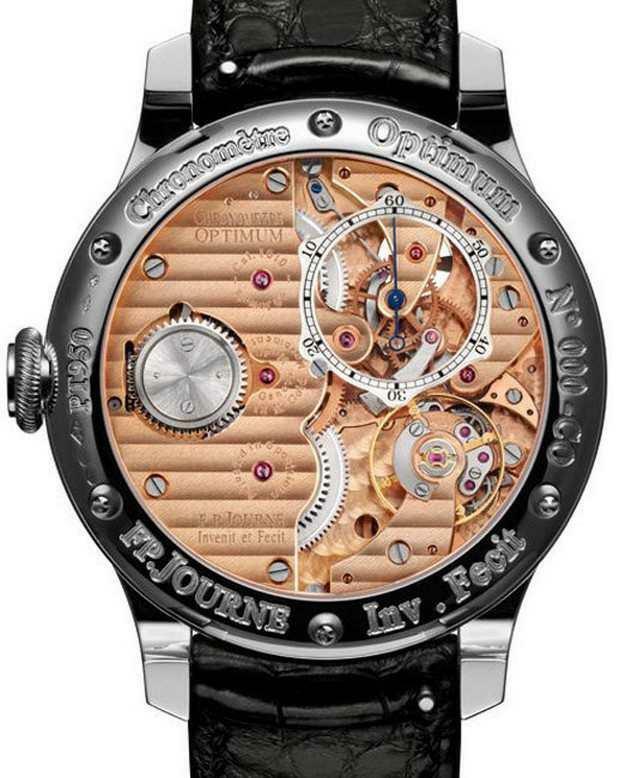 We can glimpse through the case back to witness the remontoire in action. This mechanism runs counter-clockwise. Traditional to the work of F.P. Journe, the movement bridges and base plate are crafted from rose gold. The power reserve is an impressive 70 hours, while the bi-axial escapement and the constant-force remontoire have been both presented with patents in 2005 and in 2012. A particularly interesting aspect is the bi-axial escapement, inspired by A. L Breguet, who in turn inspired George Daniels to create Omega’s co-axial escapement. The bi-axial escapement is made with the twin escape wheels and anchor being crafted from titanium; it doesn’t require lubrication and provides constant amplitude for the first 50 hours provided by the power reserve. The case comes in two versions, in your choice of 38 mm or 40 mm, crafted from platinum or rose gold. What thing they don’t come in as is cheap. Not by a long way. The 40mm rose gold version retails for US$91,000, while the platinum version is available at around US$97,000.